Dale Giddings is a member of the Straits Area Concerned Citizens for Peace, Justice and the Environment. The group opposes a permit to allow Enbridge Energy to install new anchor supports on the Line 5 pipeline under the Straits of Mackinac. About 60 people showed up, including concerned local residents, members of Michigan indigenous communities, and local environmental groups. Commenters spoke for about two and a half hours. Every speaker was opposed to permitting the work. 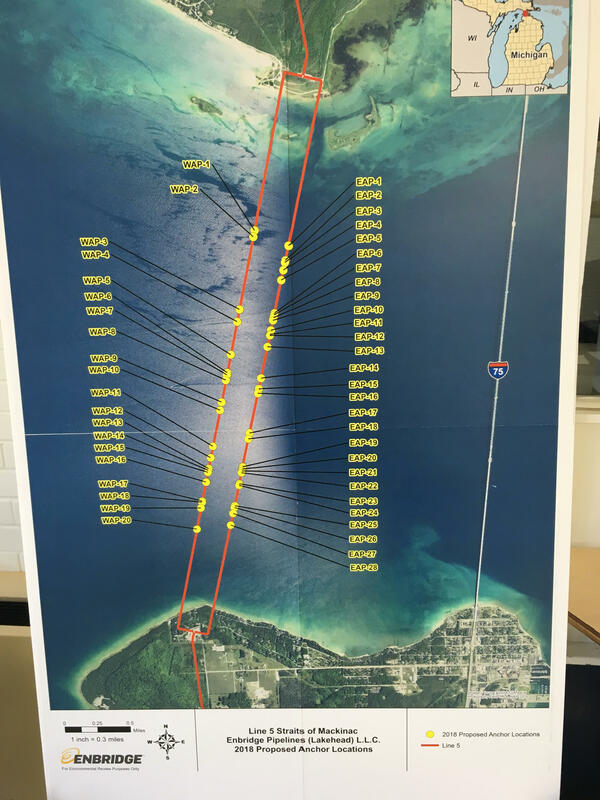 Enbridge Energy has applied for a permit to add 48 more anchor supports securing the twin oil pipelines to the lakebed under the Straits of Mackinac. Enbridge started installing anchor supports in 2002 to deal with the problem of lakebed erosion. Strong currents in the Straits have washed out sections of the bottom in the past, leaving long spans of pipeline unsupported. Enbridge's easement with the state of Michigan requires there be no unsupported spans of pipeline longer than 75 feet. 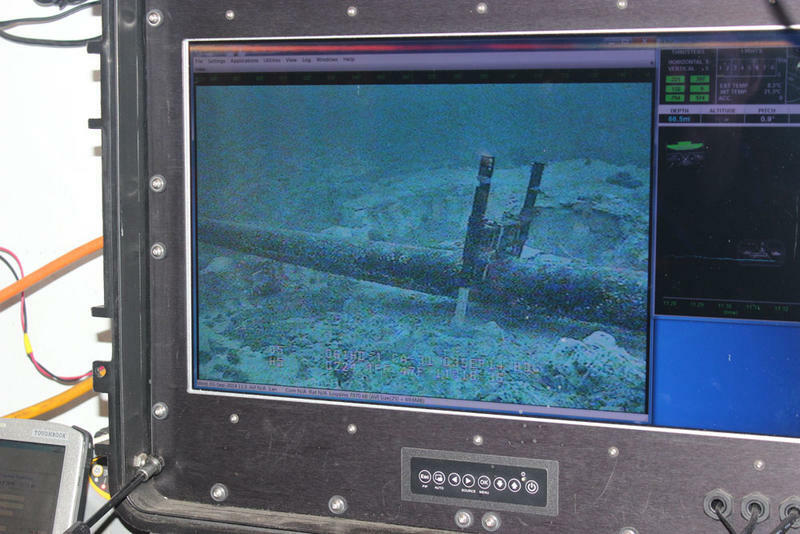 Enbridge Energy wants to install 48 more anchor supports securing the Line 5 oil pipelines to the lakebed under the Straits of Mackinac. Enbridge treats the installations as pipeline maintenance, which means any environmental impact assessment is restricted to areas immediately surrounding the supports. Opponents say the addition of anchor supports amounts to a full redesign of the pipeline and should go through the same, more rigorous, permit process. Leonard Page is the chair of the Straits of Mackinac Alliance, a local environmental organization. He says the new supports shouldn't be looked at individually. 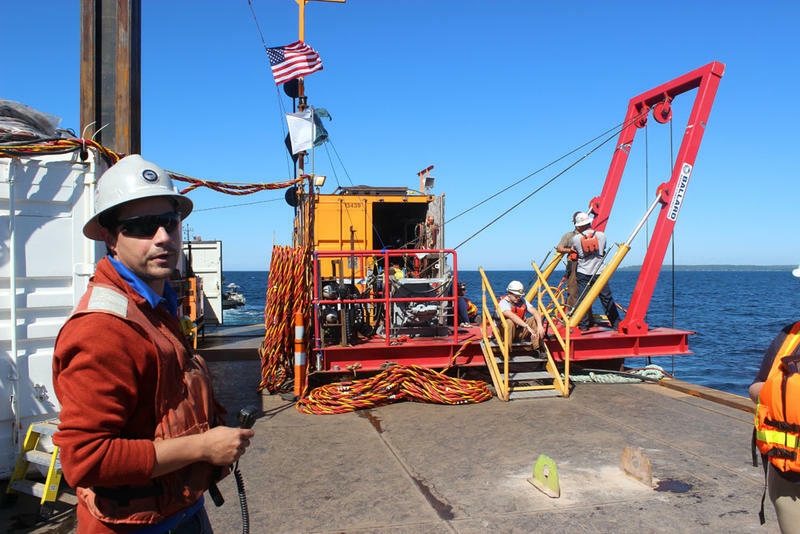 The Grand Traverse Bay Band of Ottawa and Chippewa Indians has filed a petition challenging a permit for 22 anchor supports approved earlier this year. The Straits of Mackinac Alliance has filed a similar petition. Many people who spoke recalled a similar meeting last year about the previously approved anchors and were angry with the DEQ, accusing officials of not listening. Lynn Fraze, a local resident and member of the Straits Area Concerned Citizens for Peace, Justice and the Environment, called the public comment hearings a farce. In addition to being opposed to new anchor supports, most commenters wanted Line 5 shut down altogether. Public comments can be made using the DEQ’s website until July 22.